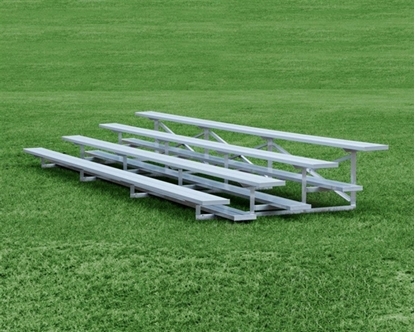 This Quick Ship 27 foot bench is perfect for event seating, the sidelines, or locker room! Heavy duty construction made of 1-1/4" schedule 40 steel pipe with 1-5/8" O.D. galvanized frames and a commercial grade anodized aluminum plank. 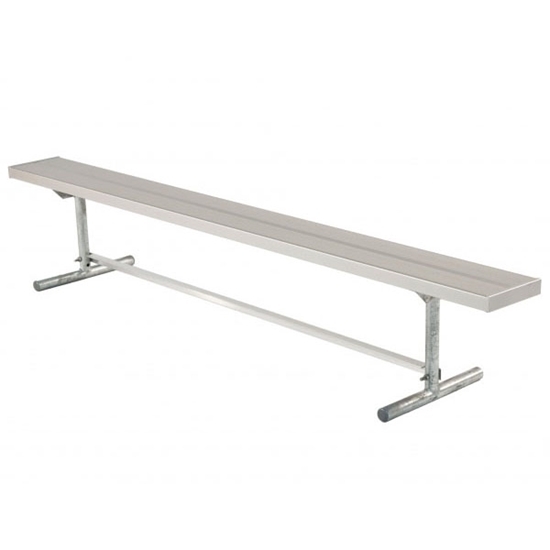 This commercial grade Quick Ship bench can be ordered with Quick Ship picnic tables and bleachers for a complete set of aluminum outdoor furniture.